Possession of a Charter giving the Company the right to hold lands, a grant of a coat of arms and an increasing sense of prestige quickened the desire for a Hall. In 1522, the Company came into possession of the Baker Bequest (mentioned above) and John Baker's house, known as 'The Swan' which was situated in Basinghall Street between Guildhall and the Church of St. Michael Bassishaw, was used as a headquarters of the craft. This soon proved inadequate and, in 1547, the purpose-built Hall was erected in an adjoining yard. A second, larger, Hall on the same site was first used in 1670 and served the Company well for almost two hundred years. Besides its use by the Livery, it was let out for feasts by other Companies, religious meetings and, for a while, for drawings of Government lotteries. An interesting contemporary print showing such as event is on display in the present Hall. However, the maintenance of this Hall became an increasing burden upon the Company's resources and in 1865 it was resolved to pull it down and erect a new Hall on about a third of the site and let the rest of the ground on a building lease. However, the terms of the lease failed to attract and, in 1867, the Company accepted an offer for the surplus land of £21,000 from the City Corporation which used it to extend Guildhall. The third Hall, designed by the Company's Surveyor, Mr. G.B. Williams, was built in 1868 at a cost of £5,200. This Hall contained a Court Room and offices only and the Company, as now, had to borrow larger venues for its Common Hall and other meetings of the Livery. This Hall survived until the night of 29th December, 1940 when, as a result of enemy action, it was destroyed by fire. Although most of the pictures and other treasures were lost, the Company's records and minute books were preserved in the basement safe. Following the war, the Company established offices in St. Helen's Place and the Court met in the Halls of various other Livery Companies. In 1957 the Company sold off the site of the third Hall to the Corporation and, in 1958, purchased its present Hall, a late 17th century merchant's house at 13 Devonshire Square. The square was originally developed towards the end of the 17th century on the gardens of Devonshire House which had served as the London home of the Earls of Devonshire between 1627 and 1670. Following refurbishment in 1975 and again in 1990 the Hall now forms an elegant and fitting home for the Company, its Court and Officers. It contains its Museum, wine, plate and other treasures and, as for the past 500 years, acts as a meeting place and the focus of the Company's corporate, charitable and social life. 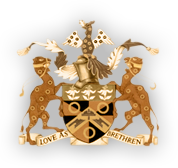 The Worshipful Company of Coopers is one of the oldest in the City of London. In modern times it has evolved into the trustee of six principal charities and a social and charitable enterprise that retains an identity focused on the ancient craft of cask making. 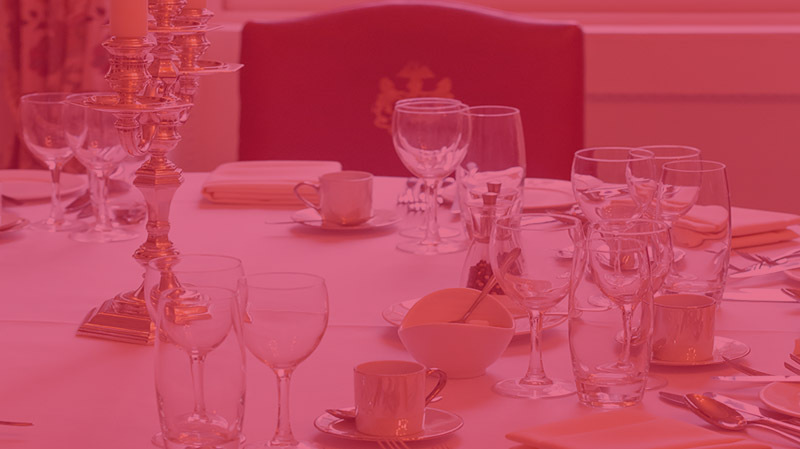 We welcome members to enjoy a fellowship around our shared values and an interest in the history, culture and charitable endeavours that our company has pursued for the last 500 or so years. The first of our Education Evenings designed to help introduce prospective Freemen to the Company takes place in January 2019. Those interested in joining require a sponsor (an existing member of the Company) who should email the Clerk to notify us of your intention. In the meantime, you can also find our more by reading our latest edition of The Cooper magazine. We welcome those from within and outside of the industry. 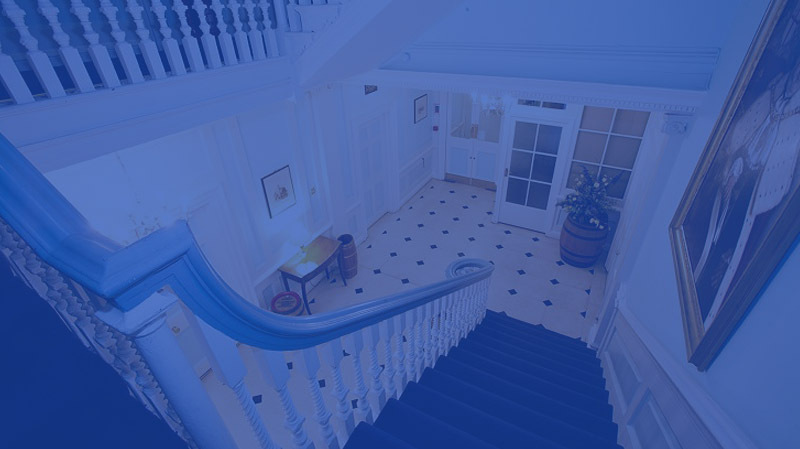 Coopers’ Hall is a delightful pre-Georgian Town House in the heart of the City of London. Situated yards from Liverpool Street Station in a secluded square, Coopers’ Hall is one of the oldest City Livery Halls that provides an intimate and beautiful venue for any occasion. We welcome all enquiries relating to the hiring of the hall. The Coopers’ Company itself is not a Charity but the Master, Wardens and Court of Assistants for the time being are the Trustees of Coopers Charity which is a registered Charitable Incorporated Organisation (“the Charity”). The Charity is an amalgamation of five former charitable trusts of varying ages of foundation which have derived their income from bequests made throughout the Company's history and the distribution of this income is governed by the Charity’s constitution. The Charity was granted formal approval by The Charity Commission in December 2013. The Trustees are responsible for the proper distribution of funds, which in practice is administered by the Charities Committee which reports to the Trustees annually. 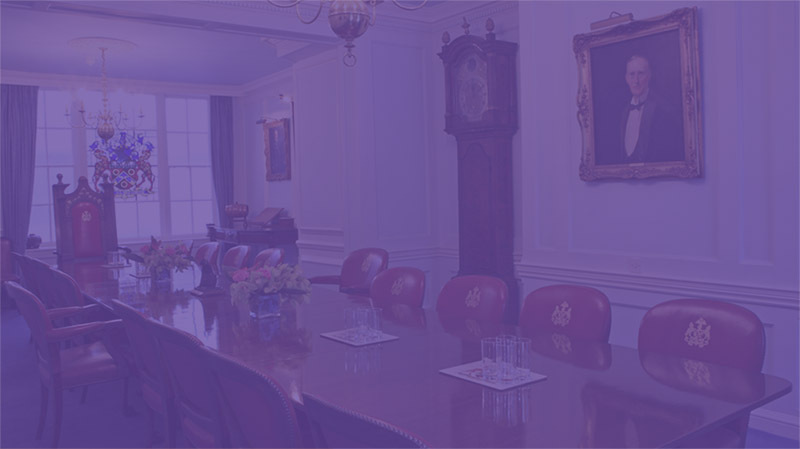 The former charitable trusts comprise the Ratcliff Pension Charity, the Palmer Foundation, the Harold Griffin Gift Fund, the Strode’s Egham Pension and Eleemosynary Charity and the William Alexander’s Coopers’ Liverymen Fund. To support such other general charitable purposes as the Trustees may in their absolute discretion determine. In partnership with the Shaftesbury Housing Group and the London Borough of Tower Hamlets, the CLHF created an innovative project and a significant step in the improvement of services for older people in Tower Hamlets through the building of Coopers Court. To celebrate our quincentenary in 2001 the Company raised over £500,000 to create sheltered accommodation, comprising 40 flats, in Tower Hamlets. This was the historic centre of the cooperage industry, from which the City, port and river were served. The loan of £500,000 was returned to the Company when Shaftesbury Housing Group sold its stake in Coopers Court and the Company then looked for another deserving case and potential recipient. In 2010, the CLHF loaned £500,000 for a new building, latterly named Coopers Chase, in Enham to house rehabilitation and training courses for Service personnel, injured in Iraq and Afghanistan. The building contains ten study bedrooms fully equipped for the disabled with private bathrooms and communal areas. The CLHF has entered a co-operation agreement with Enham to ensure that the centre would continue to be used for the purpose it had been made. Whilst the intention was to assist Service personnel, it has not materialised as first thought, but Coopers Chase is being used to great effect by those needing remedial training and preparation to live within the community. This Charity was established in 1937 by the late Past Master Harold Griffin through the benefaction of six freehold houses in Thessaly Square, Battersea. Originally, they were to be offered, free of rent and all outgoings, to any Liveryman or Freeman of the Company or to their widows or dependants, or thereafter to needy old persons of Battersea, or, at the entire discretion of the Court, to any other charitable purposes. The site was bombed during the second world war. Two houses were destroyed and the remaining four heavily damaged, and when the area was subsequently rebuilt by the Local Authority the site was classed as “added land”. With the approval of the Charity Commissioners, it was sold under a compulsory purchase order and the proceeds reinvested in Trustee securities. Part of the proceeds were used for the purchase and installation of stained glass windows in the Stepney Parish Church of St. Dunstan and All Saints and in the City Church of St. Magnus the Martyr. This is the least fettered of all the Company's charities and the income may be applied to any charitable purpose. In practice the Court acts on the recommendations of its Charity Committee. This Charity, which incorporates the former Benevolent Fund, receives substantial annual donations from the Company’s corporate funds and other charitable bequests to the Company. The Foundation was founded in 1979 by the late Past Master E.W. Palmer (pictured right), who subsequently bequeathed to the Worshipful Company of Coopers a property company, Waverley Court Limited, stipulating that half of the income received should be for the benefit of the Palmer Foundation and half for the Coopers’ Company and Coborn Educational Foundation. A new Board of Directors was appointed under the chairmanship of Pastmaster Brian Atchley. Over a period of a few years the mainly residential properties were sold at a substantial profit to valuation. Waverley Court Limited was eventually “wound up” and the proceeds distributed accordingly. Grants are made regularly to selected charities and to other registered charities in response to appeals; and awards of scholarships, bursaries and grants are made to the Company’s School and College. This was founded under the Will of Henry Strode, a London merchant and son of a Cooper, who served as Master in 1703 a year before he died, having previously served as Auditor, Assistant, Renter Warden and Upper Warden. It originally provided for the building of Almshouses and an endowed elementary school, but in 1824 judgement was given against the Company in proceedings in the Chancery Court alleging maladministration of the Charity. This led the Charity Commissioners to step in and to set up successive schemes under which the almshouses were finally replaced by pensions payable to residents of the parish of Egham as constituted on 22 September 1911. This scheme was superseded by another, sealed in January 1977, which allowed the few remaining pensions to continue, other funds to be applied to the relief of needy persons in the original parish - and exceptionally, and at the Trustees' discretion, to the residents immediately outside. In 1536 Nicholas Gibson, who had served as Prime Warden of the Grocers’ Company, caused to be erected and endowed alms-houses for fourteen men and women and a school for thirty boys. His widow, who subsequently married Sir Anthony Knyvett and became known as Dame Avice, transferred them to the Company shortly before her death in 1554, when the school became known as the Coopers' School. Henry Cloker (see below) also left property to benefit this charity: other substantial benefactors include Peter Thelloe, Tobias (Toby) Wood, Richard Young, Henry Strode and John Banfield. This Charity was formed in 1896 because of the 'splitting' of the original Ratcliff Charity into two separate schemes - the Stepney & Bow Educational Foundation, concerned solely with the administration of that part of the bequest concerned with education, and the Ratcliff Pension Charity to continue the alms-house and pensioners’ purposes of the original Gibson bequest. It financed the Company's Charitable work in Stepney and Bow and the wider Tower Hamlets area by making grants to needy residents and to welfare organisations. Under a scheme made by the Charity Commissioners in 1891, two schools at Bow, one for boys founded in 1536 and one for girls founded in 1701 by Mrs Prisca Coborn, were administered by a Board of Governors nominated by the Company, various public bodies and local parish churches. During the second world war the local population had considerably decreased and by 1945 many pupils were living out in Essex. The difficulty in attracting pupils, the mounting cost of travel and the reluctance of the County Educational Authorities to continue financial support, rendered a move inevitable. On 6 May 1970, the Foundation Stone of a new coeducational, school, to be known as The Coopers' Company and Coborn School, was laid at St. Mary's Lane, Upminster, Essex, in the London Borough of Havering, and the School was officially opened by the Lord Mayor of London in September 1974. The Coopers' Company nominate seven Governors to the Governing Body of the Foundation. The Company appoints six of the 21 School Governors responsible for the appointment and remuneration of the Head Teacher and staff and for the general supervision of the school. The school premises are owned by the Coopers' Company and Coborn Educational Foundation, which also holds property and some securities. The Company appoints seven of the twelve Governors of this Foundation, the whole income of which is applied to the payment of such annual amounts as the Governors of the school may require meeting their obligations under various Education Acts or similar orders; to establish financial reserves against extraordinary repairs, additions or improvements and to subsidise a Sunday School in the parish of Bow to the extent of £20 p.a. Any residue is to be applied to educational benefits to persons who have attended the school for two or more years and who have not yet reached the age of 25, or to support voluntary organisations in the boroughs of Tower Hamlets or Havering having educational objectives. In accordance with the Will of Henry Cloker dated 1573, an annual sermon is required to be preached on New Year's Day. In May 1974, it was agreed, with the consent of the Worshipful Company of Grocers, (because New Year's Day would in future be a Bank Holiday) that the Cloker Service should in future be held on the second Wednesday in January. For various reasons, it has subsequently been changed and a Service is now held in October in the Church of St. Botolph’s, Bishopsgate. The Grocers’ Company is concerned under the terms of the Will. This service is attended by the Master and Wardens and the Master and Clerk of the Grocers’ together with any members of the Company who may so desire. A portion of the Will is read by the Clerk, and after the sermon various small sums of money prescribed in the Will, amounting to about £20 in all, are distributed in the Vestry. The Grocers' Company is under obligation to verify each Midsummer Day that the terms of the Will have been strictly observed, for which they are entitled to be paid two guineas. Such monies as have arisen from his bequest have long since been absorbed into the Company's charitable resources. In 1910 the school was taken over by the Surrey County Council and elevated to secondary status. In 1975 it was made co-educational and became Strode’s Sixth Form College. The Foundation was established under a Scheme dated 9 November 1915, later superseded by three further Schemes. There are 9 Trustees of whom 2 are Members of Strode's Corporation, nominated by the Company. The income of the Foundation is applied to the provision and upkeep of the buildings, to maintenance allowances to pupils, to the award of leaving exhibitions and to general educational benefits for leaving members of the College who are qualified under the Scheme. At the date of writing, 2017, five of the Foundation Trustees are Liverymen of the Company. A pupil of the College is apprenticed to the Master every year and on successful completion of the apprenticeship may apply for the Freedom of the Company (fees waived) and thus of the City of London. This Fund results from the amalgamation for administrative convenience of two charities with similar purposes under a scheme agreed with the Charity Commissioners and sealed in June 1976, their purposes remaining unaltered. That of William Alexander, who was the son of a publican and had survived four wives, was established under a Will dated 1725, the year before he died, but not proved until 1729. In 1943 the Charity Commissioners sanctioned the sale of land in the parish of Woodham Mortimer in Essex, from which the Fund had derived rent, and the investment of the proceeds in gilt-edged securities. The other charity, the Old Coopers’ Liverymen Fund was instituted in 1844. Restricted to grants of money to needy members of the Livery or the Freedom, their wives, their widows and their dependants. This fund was established by the Association of Old Coopers' School Boys under a Trust Deed dated 1885. It is applied to the Old Boys' Essay Prize, the winner of which is apprenticed to the Master each year. 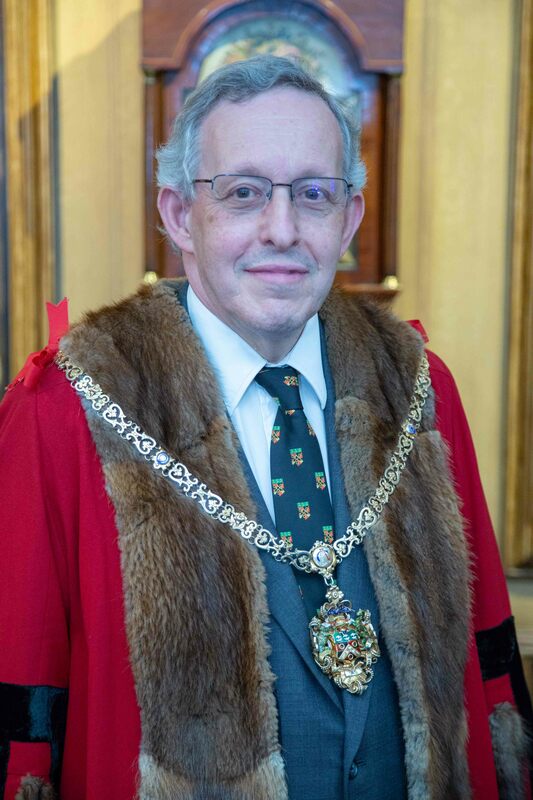 If he has served faithfully, he is invited to apply for the Freedom of the Company, and thus of the City of London. If accepted, Freedom fees are waived. It is important to distinguish between the former Stepney & Bow Foundation, the Coopers' Company and Coborn Educational Foundation and its Govenors, and the Coopers' Company and Coborn School and its Govenors. As with Strode's Foundation, the Company is not financially involved in its affairs, nor has it any direct interest other than through its six nominated School Governors and its seven nominated Foundation Governors; but it does support both the School and the College with the annual award of bursaries and with other substantial gifts. In 1986, for example, the Company presented the School with a new Steinway grand piano to mark its 450th. Anniversary. *An obelisk still stands on the site in Woodham Mortimer in Essex bearing the Company’s Coat or Arms. Grants are usually made on annual basis and may not be repeated. Needy individuals (especially the elderly and infirm) who are receiving all of their national and local financial support or support in kind to which they are entitled but still remain “needy”. Subsidising or compromising an individual’s right to national and local support must not occur. Local organisations that provide help and support to needy individuals or clubs serving a local community in the operative areas of the Charity. City of London causes sponsored by the Lord Mayor or the Corporation or other “worthy” bodies in the City to raise funds for charities aimed at individuals. National organisations which work in the operative areas of the Charity and which are financed on a local basis (e.g. Age Concern). The Charity Committee will review applications in February, June, September and November. The application process might take up to 3 months to gain approval. Initial Assessment; if on assessment the application is within the terms written above, it will be forwarded to the Charities Committee for consideration. Committee Consideration; the Committee will either approve (or not) the application outright, or may direct a visit to verify the terms of the application. Committee Visit Assessment; Applications may include an examination of the applicant’s accounts and online information in addition to a visit or interview by members of the Charities Committee. Long term grants, of up to £5,000 annually, for up to a period of 3 years may also be made as determined by the Charities Committee, after which the grant will be reviewed if a further period of support is sought. Short or long-term applications should be completed online or by hard copy and sent to: clerk@coopers-hall.co.uk or The Clerk at: 13 Devonshire Square, London EC2M 4TH. Please ensure that the application is correctly completed and falls within the guidelines and clearly identifies the purpose of any grant and that any costs associated with any project have been realistically assessed. We will endeavour to contact you within two weeks of the meeting of the Charities Committee at which the application is considered. Written reports on progress may be required during the term of any grant.